1991. The famous Las Vegas hotel The Landmark scheduled for destruction. A girl’s body found in one of the old rooms. Impossible to even tell her identity or what happened to her. 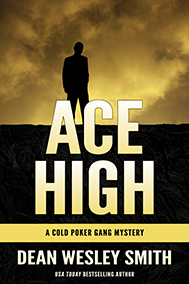 Seventeen years later Cold Poker Gang members Pickett and Sarge take up the girl’s long-cold case. And layer by layer they uncover one of the most twisted crimes in the history of the famous sin city.